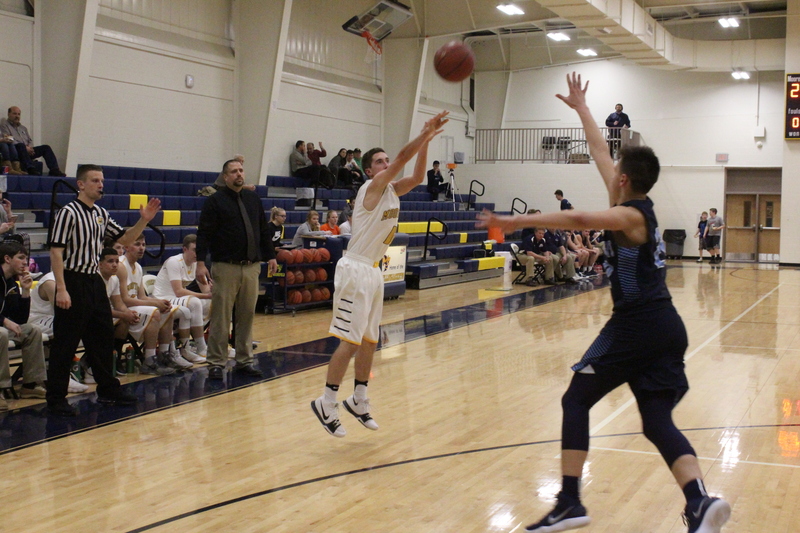 Thomas Williams drilled six of the nine 3-pointers for the Yellow Jackets to garner a game-high 22 points, but the heat from those perimeter shots failed to roast the Falcons as Frankfort fanned its wings to smother the flames in a 77-56 victory in Moorefield on Monday night. “Thomas [Williams] shot the ball well tonight. I was happy with our second half performance as a team. We were finally aggressive, finally going to the ball, trying to rebound the ball, so that was a good thing. 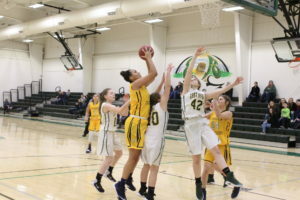 That was a step in the right direction,” Moorefield Coach Scott Stutler remarked. Williams scorched the net with four treys in the fourth period, but the Falcons damage was too much to overcome at that point in the game. In the first quarter, Frankfort took a 22-12 advantage which was created in part by Parker Riley’s 11 points including three 3-pointers en route to a team-high 15 points in the win. 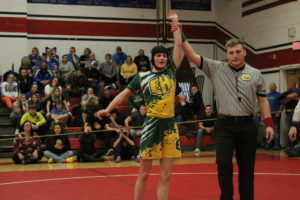 Frankfort’s Blake Wasson netted four points in the first period, while Caleb Hare added three points, Zack Whitacre and Drew Mauzy pitched in two points apiece. 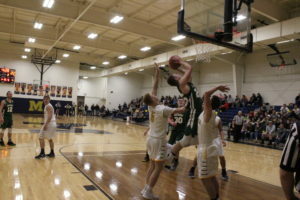 Moorefield countered in the opening frame with seven points by Williams including one 3-pointer, Brent Moran knocked down one 3-pointer and Chase Vance sank a jumper. The Falcons extended the lead to 36-18 late in the second period, then Moorefield’s Blake Watts hit a 3-pointer at the 2:07 mark. Frankfort responded with back-to-back trifectas from Caleb Hare in a span of 26 seconds with the help of a turnover to boost the lead to 42-21 at halftime.